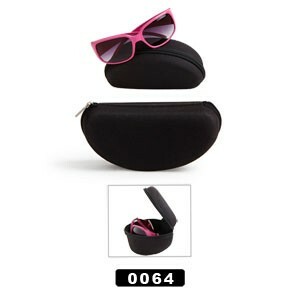 Durable soft case, black in color, will hold most sunglasses. This case is $18 per dozen, with a zipper closure. • Fits most sunglass sizes. This is such a popular soft case because of the price and it is very practical fitting just about anywhere.